Everything from the Great American Songbook and dancin' swing tunes to cool latin groove and smooth ballads. Nat King Cole, The Rat Pack, Frank Sinatra, Dean Martin,Harry Connick Jnr, Tom Jones, Cole Porter, Duke Ellington. Benny Goodman, Glenn Miller, The Gershwin Brothers, Tommy Dorsey. These cool and groovy jazz bands can create superb ambient music, more upbeat sets to dance to, a little feature cabaret, lots of improvisation and exciting arrangements.Jazz bands are ideal for cocktail parties, launches, dinners, conferences, welcome receptions, weddings, parties,venues and other special events. MTA has cover bands available in Melbourne, Sydney, Adelaide, Brisbane, Perth, Canberra and regional areas of Australia. Bands can also supply PA for your special event. They are guaranteed to keep your toes tapping and will get you in the mood! Songs from the 30s to the 80s will move you to tears and laughter by the stories and songs of love passion, despair, joy and hope from these extraordinary lives. 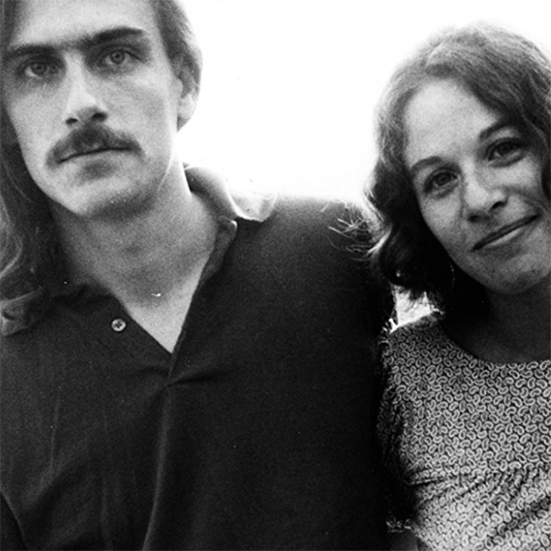 A Tapestry of Fire and Rain - A Tribute Show to Carole King and James Taylor. Alexander Nettelbeck is a musician whose playing encompasses classical jazz, blues, latin, and contemporary music in a unique and individual style! Allan Zavod is an internationally known jazz pianist voted in the "Top Ten US Jazz Pianists" of the 80's, having toured and recorded with many celebrated international bands! Australia's Own JW Swing Orchestra can play all your popular swing standards of the 30’s to the 50’s and can perform from a 2 to 16 piece! B Cardamone is an accomplished singer-songwriter with a difference. When only the best will do. 350,000+ YouTube views. The most listened to 1920s - 1930s singer and vintage band in Australia. With Ben's soothing piano skills and jazzy tactics, your guests are sure to be blown away! From timeless jazz standards to gutsy blues, chilled lounge grooves to funkytown soul, Beulah takes her listeners on a journey they will never forget! 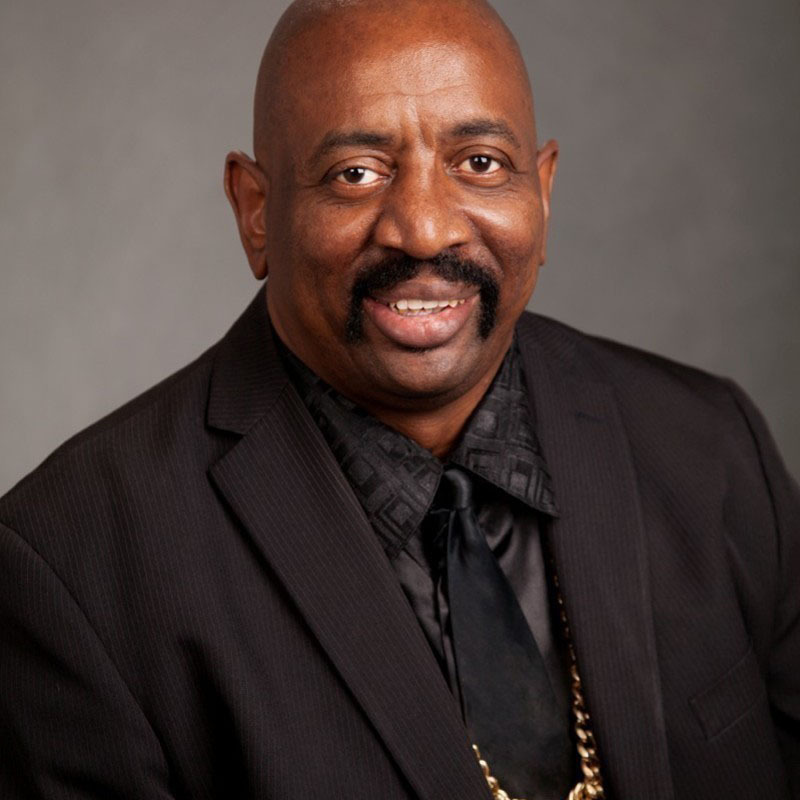 Billy Stewart is a versatile, world - class cabaret singer and entertainer, whose repertoire includes Pop, Rock, Big Ballads, Jazz and a pleasant touch of light Comedy. Birdland Trio perform a vibrant and upbeat selection of jazz, swing, groove and funk music. As a leading Sydney-based group, the band performs at clubs, jazz venues, concerts and festivals, as well as corporate and private functions. Their large, diverse repertoire includes gypsy, klezmer, jazz, continental, tango and light classical music. This highly regarded mainstream jazz ensemble has a Harry Connick Jnr style and is accompanied by exquisite Ella Fitzgerald type vocals. Carl Riseley has always been musical, but rather than with singing, his adventure began as a trumpeter in The Royal Australian Navy band. Men and women alike melt like snow as these charming crooners’ bear their heart and soul in a musical extravaganza to set even the coldest heart alight! Samuel Berthod is a world class clarinet player of many styles! Continental Drift, a string trio with a difference! Playing light classical, beautiful ambient background plus jazz & latin styles. The Crooney Tunes are excellent performers with an ideal special show format. Dean Martin impersonator. All the moves, grooves and patter as well as very fine singing. Dr Decadence is a jazz group featuring the shimmering tones of the vibraphone. E-type Jazz specialise in new arrangements of classic, swinging jazz tunes, mostly from the 1930's and 40's, in the tradition of Ella Fitzgerald and Nat King Cole. Swing into the 21st Century where swing music is set to recreate the era of the 1940's courtesy of Eddy Seven's Swingsation! For that touch of class at your next event, why not provide your guests with some Elegant Swing! Now and then, one hears a voice which instantly suggests uncommon beauty and musicality, that's Emma Gilmartin! While Emma’s voice and style are unique, and individually her own, her performances are reminiscent of the classic era of jazz, when swing was top of the charts. Choose from a Soloist Violin, a Classical Ensemble or a Jazz and Swing combo!! Fire & Theft are sure to get your inner "swing burglar" up and grooving to a mix of jazz and quirky covers! Now you can re-live the glorious sounds of Burt Bacharach with "the rising stars.." of the 2002 Adelaide International Cabaret Festival, "Flat on your Bacharach". At last! Introducing the Corporate Band we've all been waiting for: Frank Fettuccini & The Offswing! Creating a unique and exciting contemporary sound, Freehold Jazz can operate as a trio or quartet and either instrumentally or vocally. Bringing together a fantastic line-up of highly experienced musicians that have an enormous amount of explosive energy to spice up your party or function. Arguably the best New Orleans Style Jazz trumpeter produced in Australia Geoff Bull has sought and received his recognition on the world stage. Vibraphonist/flutist/saxophonist Glenn Henrich has performed with many of Australia’s top jazz musicians. Grant Siedle has a deep, velvet voice that smoulders throughout the evening! Infectious Gypsy flamenco, Arabic and Latin jazz dance grooves. This versatile trio play jazz from the 50's & 60's, R&B, New Orleans and Lounge. Harry Deluxe combines all the glitz and glamour of a sultry 40s film siren with the fire and energy of a modern day rock star. Hot 4 piece Arabic dance jazz band with dynamic bass & Arabic percussion, authentic dancers available! Jasper is about Jazz! The sound! The groove! The look! Catherine Lambert is a master of crooning the sultry jazz ballad and pouring sweet melody into welcoming souls just beyond the stage, or screen. Music for the soul and soul coaching, creating an ambience of serenity and bliss. Janet creates a soundscape of improvised ambient harp music. A four piece outfit with a repertoire of music from the '30s to present easy listening popular standards. Jen Hawley and the cocktail crew is a highly professional and sophisticated jazz ensemble offering a stylish continental-infused repertoire to soothe or swing your venue. The jive bombers have been entertaining Sydney since 1985 and have built a reputation as Sydney’s number one retro dance band. The band has worked in the corporate sector over many years and has built an enviable reputation. Styles range from jazz to covers and themes. Two world-class musicians who are turning classical music on its head. Johan van Gelder Trio is a skilful blend of sophistication and musicianship. The John Leigh Calder Band has it all, from cool jazz/blues, good time R&B to funky soul. As a singer, pianist and performer, Judith is recognised as an extremely diverse and adaptable musician. She is remarkably accomplished in a wide variety of music styles. Jugularity’s brand of madcap musical comedy successfully combines skilled, inspiring musicianship with comedy cabaret. Karen’s vast repertoire spans light classics, through jazz to popular music of today. This versatility ensures her appeal to a wide audience! Take the sexiness of Moulin Rouge, the sassiness of Cabaret and the sophistication of Chicago and you have the hottest show in town. Canberra's favourite jazz, latin & covers band, the wonderful lounge quartet consisting of sax, double bass, keyboards (with optional vocals) drums and horns. Metroplois are Young, Funky, Polished and Refined. For your next event, My Sauce Good is the band you are looking for to create a warm and tangible atmosphere for your guests. Nev Ollis came to Brisbane in 1987 to perform at World Expo 88. He picked up the sponsorship of XXXX and has been here ever since. A multifaceted act incorporating a Live 7 Piece Band, Professional Rock'n'Roll, Latin and Ballroom Dancers and a truly unique stage set with authentic period costuming. Melbourne-based the Nue Vue Trio is a talented and versatile ensemble which comprises of three of Australia's finest musicians. Through experience the Combo has gone on to become one of Melbourne's best working bands, offering professionalism and reliability. 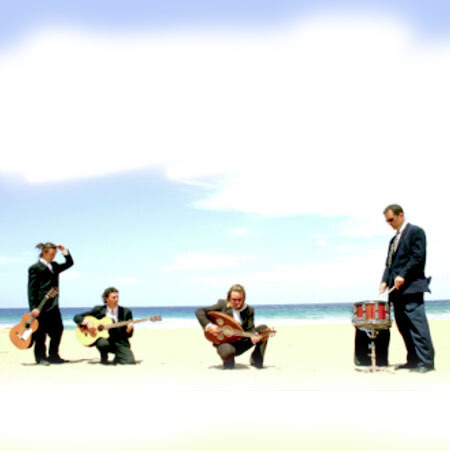 Papa Groove formed in 2002 as a jazz quartet playing some of Sydney's best known jazz venues. Paradise City Jazz Band specialises in providing professional entertainment at weddings, corporate and other functions, at a host of venues requiring quality musical entertainment. European style café jazz performed with class & great charm. Patou; Jamaican for 'night owl' but in Australia better known as a singer of amazing versatility with a voice that’s rich, inviting and able to! Mark Fitzgibbon (piano) is an integral part of Melbourne’s ever widening jazz scene. Michael has been in performing as a solo pianist/vocalist for many years and plays a wide cross section of music ranging from the 20’ though to the 80’s. If you are looking for Professional, Classy and Fun Entertainment for your Wedding or Event, then PIZAZZ is the band for you! Pizazz is available as a Duo, Trio or Four Piece Band. The Princes of Swing plays sophisticated smooth & swinging Jazz & Bossa from the great songbooks of the 30s 40s & 50s. Three to five piece featuring vocals, vibes and gorgeous sounds. Salon quartet who perform the original compositions and arrangements of Melbourne composer and violinist David Osborne. Rendezvous can offer you all of that in one customised package to ensure that your wedding day is unforgettable. Rodric has two albums to his credit, countless festivals, cruise ship and concert experience, and many other performance and recording credits to his name. Featured throughout Australia and S/E Asia, Ross Ogden is a vocalist with a reputation for fronting great bands featuring Sydney's finest musical talents. Salvador Charli represents an exciting direction in Latin / Classical mixed with world music influences. Add a touch of class to your next event with one of Australia's youngest and finest Cabaret Entertainers. Secret Images will fill the dance floor all night! Their natural flair and commitment to entertaining your guests will ensure a great party every time! 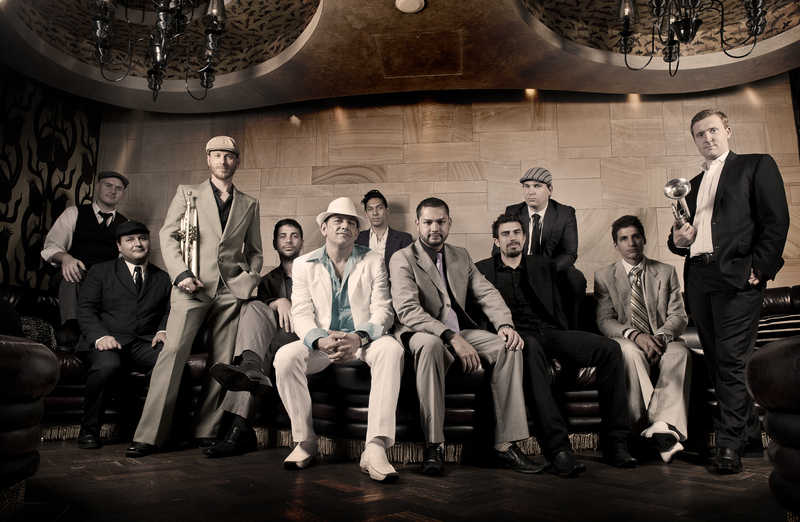 The Ska instrumental, with its focus on the soloist, is a style of jazz, Jamaican style. Slide McBride Band are specialists in performing at functions and events. The “Society Seven” (otherwise known as the ‘Prahran Market Jazz Band’) are a very special institution in the Melbourne musical scene. Soul Nights is Sydney's premier cover band and is comprised of Australia's leading musicians. bossanova and pop classics…’ (MX 2010). Have you heard the latest Swing Sensation? Pack up and come fly away with the best swing band around. Swing City is a big band made up of Australia's finest young jazz musicians who all share a love of music that swings. Ricky Martni meets Michael Bublé in a hilarious sing off show, it's Swinging La Vida Loca! Taylor Made Jazz formed in 1990 by saxophonist Mark Taylor, is one of Sydney's very popular jazz groups. Sassy, soulful blues! If you like The Blues Brothers, Tina Turner or Sharon Jones, you will love The Andrea Marr Band. The Bass and I brings together Steve's virtuosic double bass playing and cool vocal stylings to create a unique, intimate, sophisticated sound. Swinging, hip and cool! Rare and mysterious, The Black Tulips play a beautiful and sumptuous blend of music which flows seamlessly from Tango and Gypsy to Latin and Jazz. The Cardinal Groove play old school R&B, Funk, Blues, Soul and Jazz taking a big influence from the Motown sound. They guarantee to get you "up on offa that thang!" "Energetic stage presence...one hell of a good time!" Duo to a nine piece band playing, jazz, soul, funk, Latin, & rock'n'roll. Any occasion, many styles. These bright and perky sisters bring their soothing harmonies in WW11 Style fashion. Grant Siedle and hs band have a deep, velvet sound that smolders throughout the evening! The Jazz Professionals have performed at over 1000 weddings and events and provide a professional and well presented performance that can be tailored to your specific needs. The Jumpin' Jitta-Bugs are a sensational group who specialise in revived 40's Swing with a modern day sound! Melbourne’s foremost live Electro-Swing outfit. Louie Lee Feltrin is Australia’s Number One Robbie Williams Impersonator as seen on the hit Channel 9 TV Show, Starstruck! The swing kings feature the classic arrangements of JUMP JIVE Jazz and Swing era in a punchy toe tapping, feet moving, red hot feel. Australia’s newest and most spectacular swing band has arrived! For a smooth, relaxed serve of tasteful tinkles book Tim Canning! Virus is one of the most exciting traditional jazz bands on the Melbourne scene, combining the exuberance of youth with the wisdom of experience they play hot New Orleans jazz. When Harry Met Frank revives the era of swing the way it was swung (with a little bit of funk thrown in for good measure).